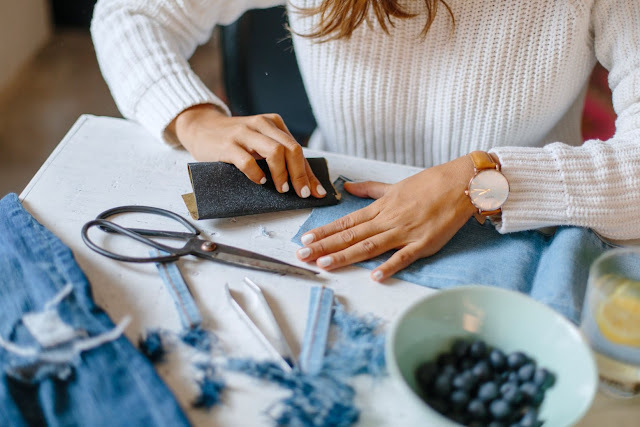 Distressed jeans are perfect for that effortless yet in-style look, but buying a pair can cost more than a non-ripped pair, which might not make sense. And considering that probably most of us own several pair of jeans we haven't worn in a while, I figured it would be easier -and cheaper, to distress one of my own old pairs, which turns out best since old pairs look more washed and worn and make the whole distressed look a lot more legit. 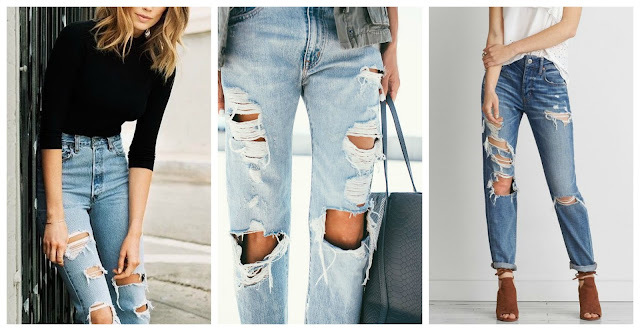 Personally, the distressed look goes best (and looks a lot more real) with light-toned boyfriend jeans, but feel free to experiment with whatever pair you have. Here's what to do. 1. Wear your jeans and mark either side of your knees with chalk. 2. Mark all the spots you want distressed. Too many holes and spots can look fake. Ideally, mark both knees and a few spots around the pockets area. 3. Start scrubbing the marked spots with the sandpaper block. It works better than using a cheese grater and the fabric's threads look more naturally distressed. 4. Using the scissors, cut a small hole on both knees. Don't make a big hole, since it will get bigger with every use. 5. 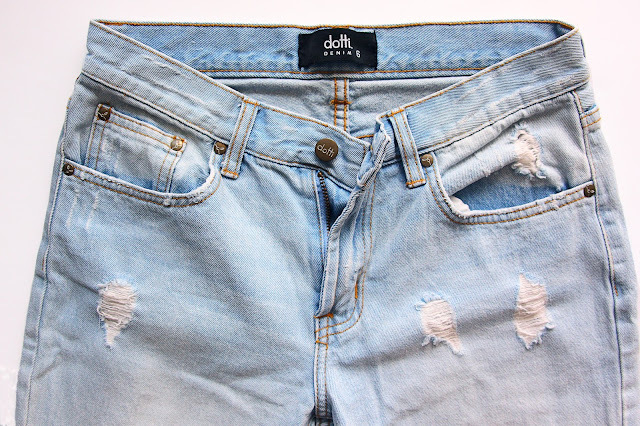 Wash your jeans with a little bleach to get a lighter tone around the distressed spots. That's it! Have you tried this idea yet? Images from a pair & a spare.